A vapor barrier’s role is to keep the moisture from the ground below your house from getting into the structure of your home. This is an important function as moist building materials create a breeding ground for mold and mildew. Over time, vapor barriers weather with age or become damaged by insect and rodent materials. Once they deteriorate they become a liability. That is why vapor barrier removal in Salem, OR homes is so important. The wet climate gets on the inside of the barrier and soon holds moisture in, rather than out. Before your damaged vapor barrier creates damage to the structure of your home, call The Killers Crawl Space Restoration to have it removed. 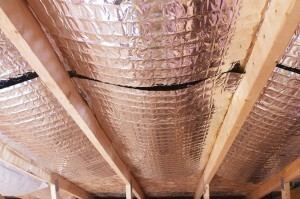 A dysfunctional vapor barrier disrupts the ventilation of your crawl space. Proper ventilation is necessary to maintain the health of this area. Without it, the area can become rife with mold and moisture and structural damage can easily spread. Our licensed technicians understand the way proper air should flow through a crawl space. In addition to handling your vapor barrier removal, our experienced crawl space technician can review the condition of your entire crawl space. We do an evaluation and offer you a report of what we find. If you have an infestation of insects or if structural damage has already taken place, we are able to do a full crawl space repair for you. However, if it is only the vapor barrier removal in Salem, OR you need, you will never be pressured into more services than you want. Another important function of your vapor barrier is keeping inside air from leaking out and outside air from getting in. This added insulation helps keep your home the temperature you intend. When the vapor barrier becomes compromised with rips, tears, and holes, it is unable to keep inside and outside air from passing through. Drafts can get into your home, causing a higher heating and cooling bill. That is why a vapor barrier replacement is cost effective. It will help you save money over time, essentially paying for itself. The Killers Crawl Space Restoration has been the go-to name in vapor barrier removal in Salem, OR for decades. Our licensed technicians understand the full scale of your crawl space. We are able to remove and replace the vapor barrier, ensuring that it is functioning with the rest of the crawl space system. We offer upfront, affordable pricing and make sure you understand and approve of the work before we begin. We arrive on time, clean, and ready to work. We are also fully equipped for a safe vapor barrier removal; all precautions are taken to ensure no debris or hazardous dust is spread. Contact us today to discuss your needs for vapor barrier removal in Salem, OR. 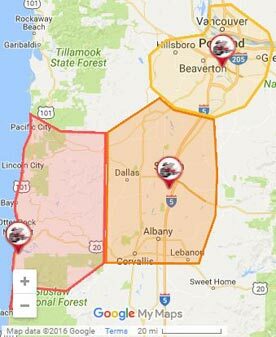 The Killers Crawl Space Restoration loves working in Salem, Oregon. 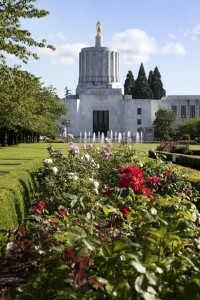 With so many unique local sights, like the Schreiner’s Iris Gardens, Frank Lloyd Wright’s The Gordon House, and the Bush House Museum, there is never a lack of things to do in Salem, Oregon.